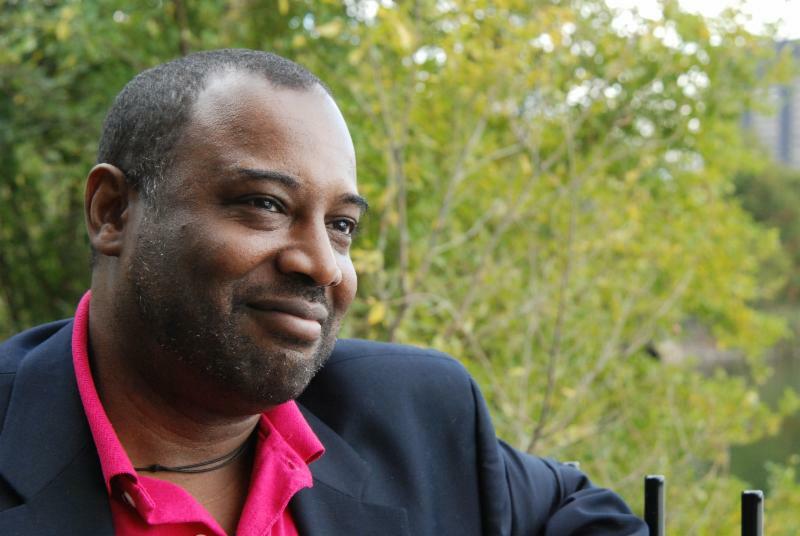 Reginald Harris is the Poetry In The Branches Coordinator and Information Technology Director for Poets House in New York City. He won the 2012 Cave Canem/Northwestern University Press Poetry Prize for Autogeography. 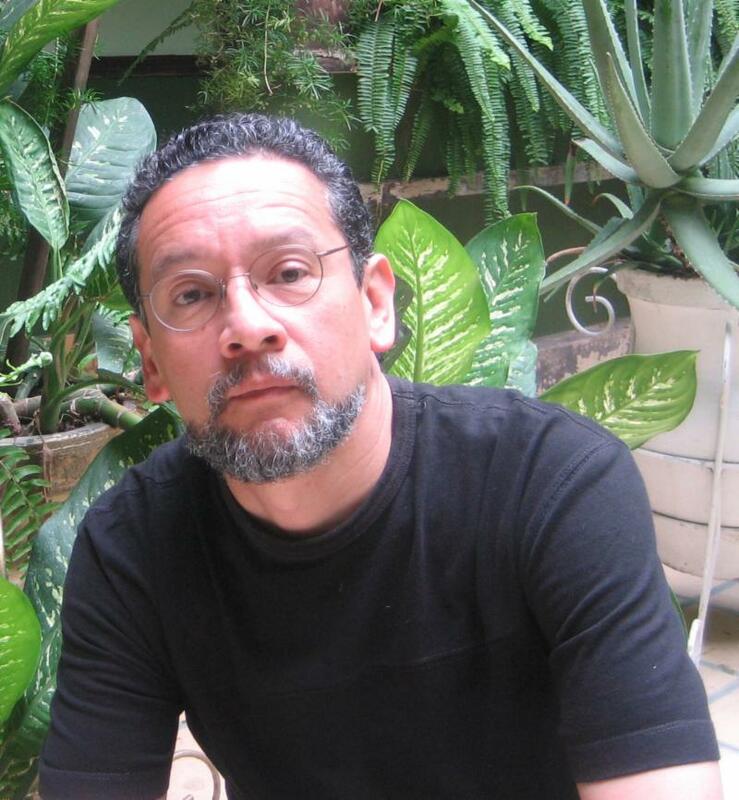 A Pushcart Prize Nominee, recipient of Individual Artist Awards for both poetry and fiction from the Maryland State Arts Council, and Finalist for a Lambda Literary Award and the ForeWord Book of the Year for 10 Tongues: Poems (2002), his work has appeared in numerous journals, anthologies, and other publications. An Associate Editor for Lambda Literary Foundation's Lambda Literary Review, he lives in Brooklyn, where he pretends to work on another manuscript. Susan Scheid is the author of After Enchantment, her first book of poetry. Her poetry has appeared most recently in Tidal Basin Review, Requiem, Rose Red Review, The Unrorean, Bark! and the chapbook, Poetic Art. Susan currently serves on the Board of Directors for Split This Rock. 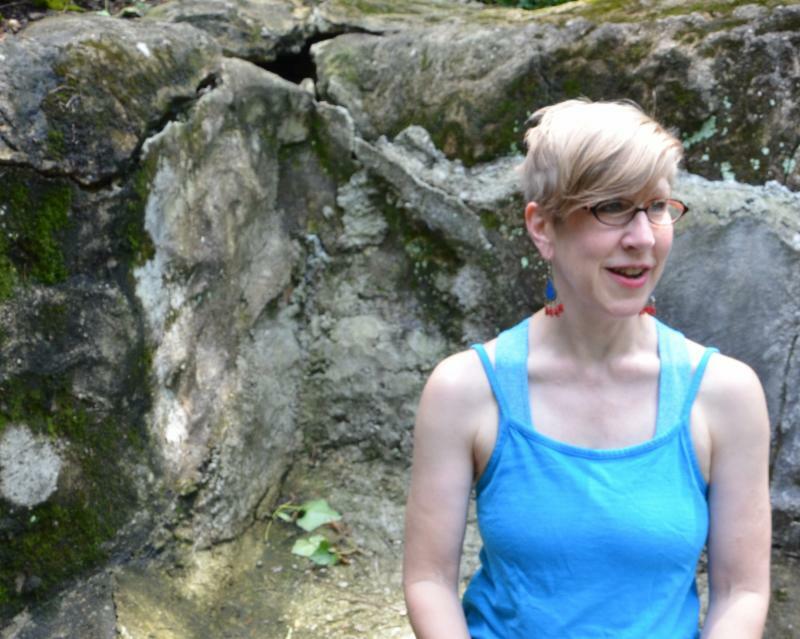 As Artist-in Residence at the Noyes School of Rhythm in Connecticut, Susan studies dance and teaches daily writing workshops for one week each summer. She lives in the Brookland neighborhood of Washington, DC, where she has been a community organizer for thirty years. Susan helped open a community-owned grocery (Brookland Co-op Community Market) and also served on its board of directors. Susan has a B.A. in Anthropology from Catholic University. Susan Scheid photo by Kelsey Weaver. Your august birth, my taking oath as an American, were only weeks apart. the last day of July the umbilical cord was cut, yet still we were barely apart. apple tree and dry lobelia; camouflaged, I couldn’t tell her parts apart. the tender bird of prey and a feline form was the country of which I was a part. through snow in Julian, rain in Sedona. Not for a single minute were we apart. Shadab Zeest Hashmi is a Pushcart nominee and winner of the San Diego Book Award for poetry for Baker of Tarfia—a book based on the history of interfaith tolerance in Al Andalus (Muslim Spain). 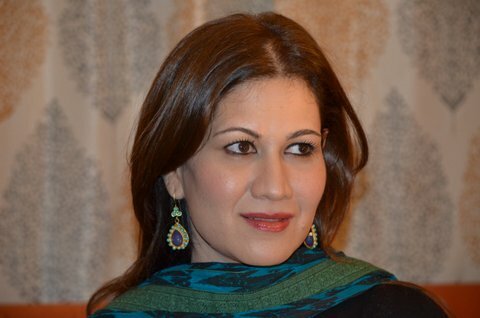 Her work has been included in the Seeds of Peace concert with the award-winning Al Andalus Ensemble, in the film Cruzando Lineas: Crossing Lines, and has been translated into Urdu by Pakistan Academy of Arts and Letters. She has presented her series of poems and photographs titled "Across the Windowsill" at San Diego Museum of Art. She has served as an editor for the annual Magee Park Anthology and the online journal MahMag World Literature and has taught as a visiting professor in the MFA program at San Diego State University. She has published her poetry and prose in numerous journals worldwide and represents Pakistan on UniVerse: A United Nations of Poetry. Spend a "Night Out" with Split This Rock @ The Laramie Project! 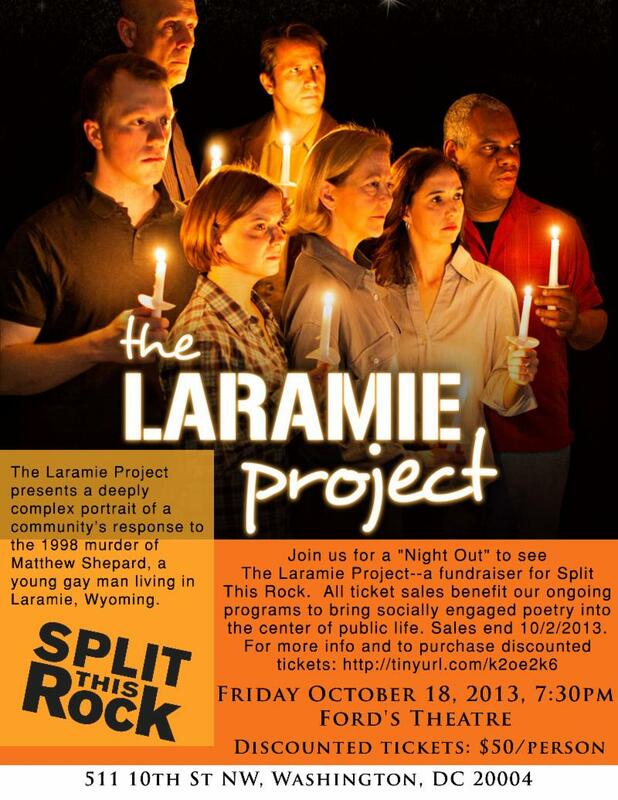 What: a performance of The Laramie Project, in support of Split This Rock! Tickets: $50/person. Buy yours here! (All proceeds benefit Split This Rock. Must buy tickets online to receive discount). The Laramie Project presents a deeply complex portrait of a community's response to the 1998 murder of Matthew Shepard, a young gay man living in Laramie, Wyoming. In a series of poignant reflections, the residents of Laramie react to the hate crime and surrounding media storm with anger, bewilderment and sorrow. The play portrays the seismic and deeply personal impact Matthew's death had on this small town while also demonstrating the power of the human spirit to triumph over bigotry and violence. Fifteen years later, Matthew Shepard's story still reverberates, urging us on with its clarion call to confront the destructive power of bullying and hate, in all forms. The Laramie Project is the third offering in the multi-year Lincoln Legacy Project-an effort to generate dialogue around issues of tolerance, equality and acceptance. Experience the story that TIME magazine calls "a pioneering and powerful stage event." We are very excited to announce the first ever Split This Rock Freedom Plow Award for Poetry & Activism! 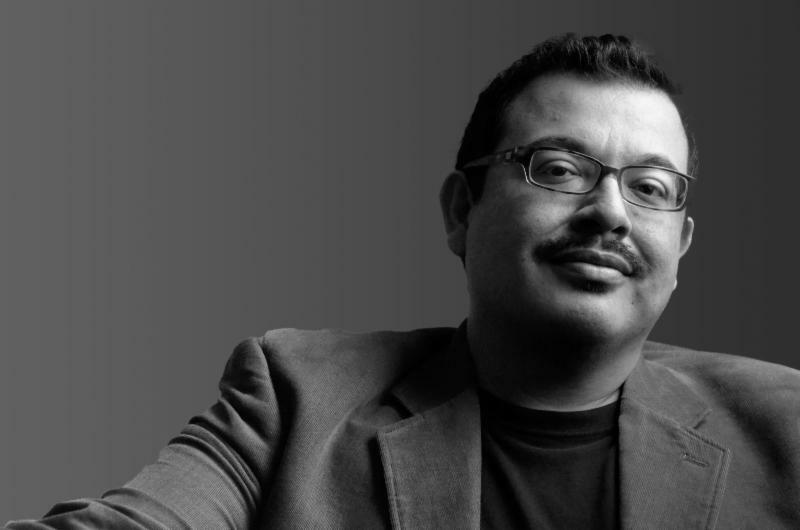 The award, made possible through the generosity of the CrossCurrents Foundation, recognizes and honors a poet who is doing innovative and transformative work at the intersection of poetry and social change. 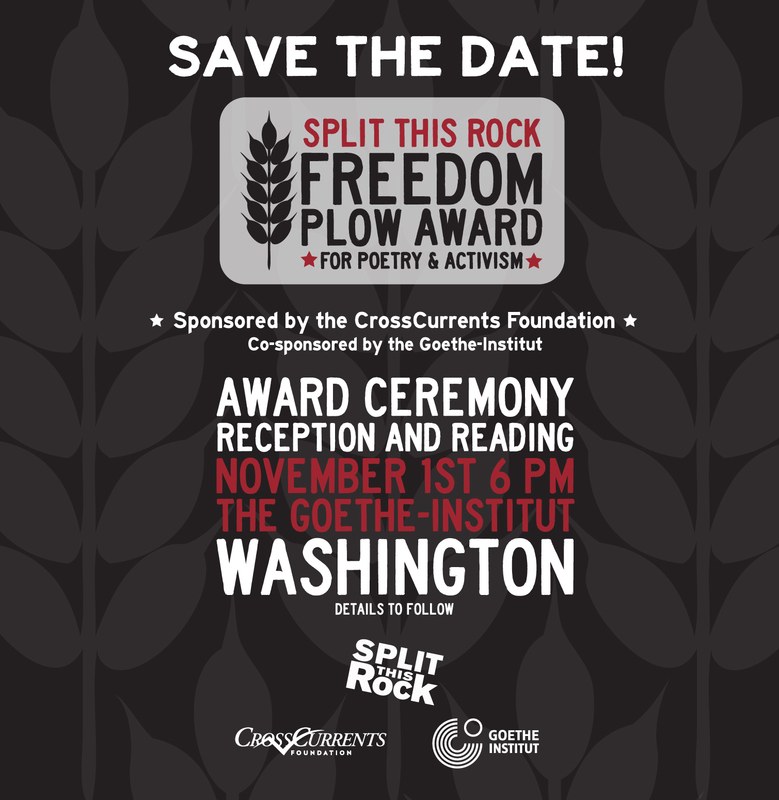 We anticipate that the prize, like Split This Rock Poetry Festival, will become an essential, enduring part of our mission to promote the growing field of art and social activism on a national level. This inaugural winner will be chosen by a panel of prominent judges: E. Ethelbert Miller, Martha Collins, and Carlos Andres Gomez. Stay tuned for more details, and the announcement of the 2013 Freedom Plow Award winner! de neblina en la ropa que me puse. como ojo de ballena herida. to light the stove for me. of mist in the clothes I put on. like the eye of an injured whale. it must move another now, awkward at first. or how the artist formerly known is some sort of Prince. and one, my son's good friend, throws a hard mean spiral. of Rabies"--a heartbreaking tale of good dogs gone bad. engineering at the U. And have I mentioned the Mexicans? for a song and dance they could take on as their own. whether Bosnian, black, white, Somali, Tibetan. David Mura will publish his fourth poetry collection, The Last Incantations, with Northwestern University Press in March, 2014. 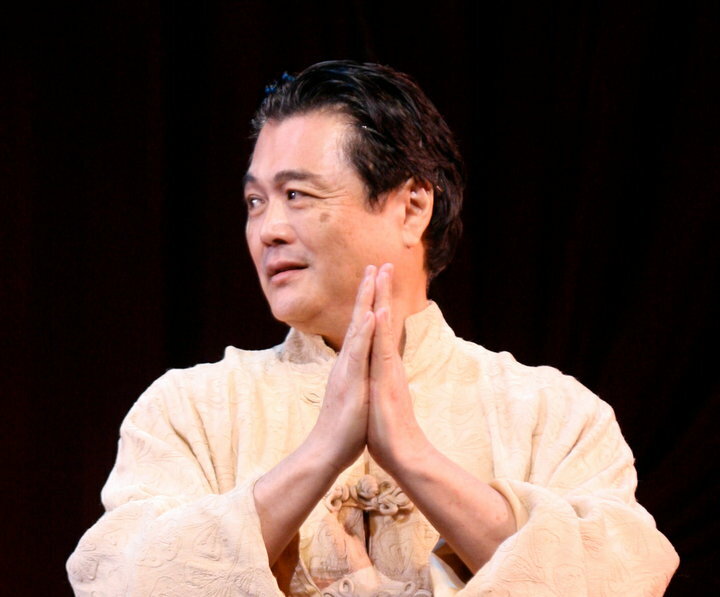 Mura's other poetry books are Angels for the Burning, The Colors of Desire (Carl Sandburg Literary Award), and After We Lost Our Way (a National Poetry Series Contest winner). He has also published two memoirs, Turning Japanese and Where the Body Meets Memory, and a novel, Famous Suicides of the Japanese Empire. His book of poetry criticism is Song for Uncle Tom, Tonto & Mr. Moto: Poetry & Identity. He teaches at the Stonecoast MFA Program and the VONA Writers' Conference.